Thisnking about getting CoolSculpting, but you are not too sure? Here are three great reasons why you should consider getting CoolSculpting. You exercise. You eat right. But, some stubborn fat bulges are immune to even the cleanest diet and to exercise. 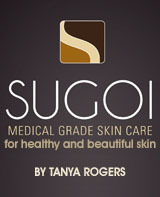 You don’t feel as confident in your own skin as you should –or could. And as amazing as that sounds, we want to give you 3 more reasons why you should consider getting CoolSculpting. First, CoolSculpting is perfect if you’re struggling to get rid of diet and exercise resistant fat. If you exercise regularly and still have that hard-to-get-rid-of-area, this treatment is perfect for you. 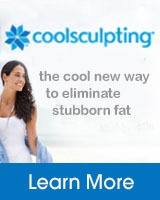 With CoolSculpting, we can target the exact area you want to freeze fat from. So, no more thousand crunches to get that flat stomach. Or eating less to slim down your arms! The second is that it is perfect for people with a busy lifestyle. CoolSculpting requires no downtime and it is not a surgical procedure. So you don’t have to worry about missing out on important meetings or activities – and you can still get the results that you want. The treatment time ranges from 35 to 75 minutes depending on the area treated. A lot of people get a CoolSculpting done on their lunch break. You can have your treatment and go right back to work, the gym, or to your family. The third and final reason – is even more personal than the first two. You might find that “the cost” of NOT doing CoolSculpting could be way greater than the cost of doing it. We consult with many women and men who come to us frustrated because they’ve spent years unhappy with their stubborn fat. For many, it has gotten to the point to where they feel uncomfortable in their own skin and want to make a change for themselves. CoolSculpting can help you get the results you’re looking for and ultimately, shape your confidence. If you have any questions or are ready to move forward with a complimentary, no obligation consultation, please feel free to send us a message or request your consultation by clicking the link below.